On Friday we had 10 tons of 40 mm scalpings delivered. This is what a 10 ton pile looks like. 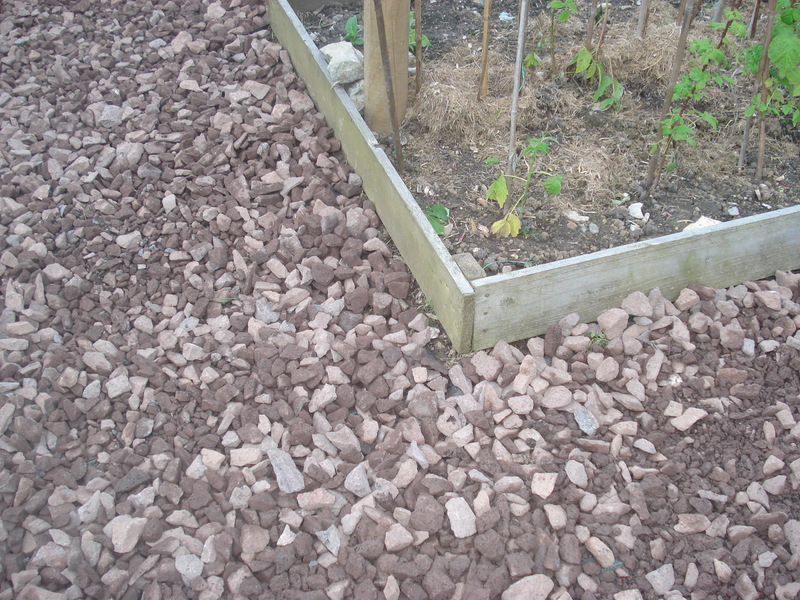 When we first put down our raised vegetable beds, we laid the paths in between with black weed suppressant sheet and covered them with bark chippings. 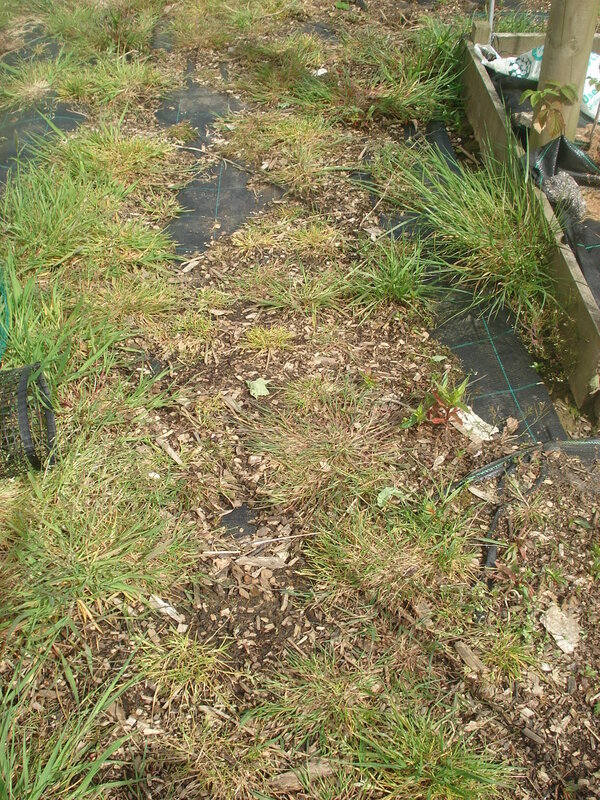 These paths looked lovely at first, but after 3 years the bark has decomposed and the weeds have grown in the bark and just taken over. 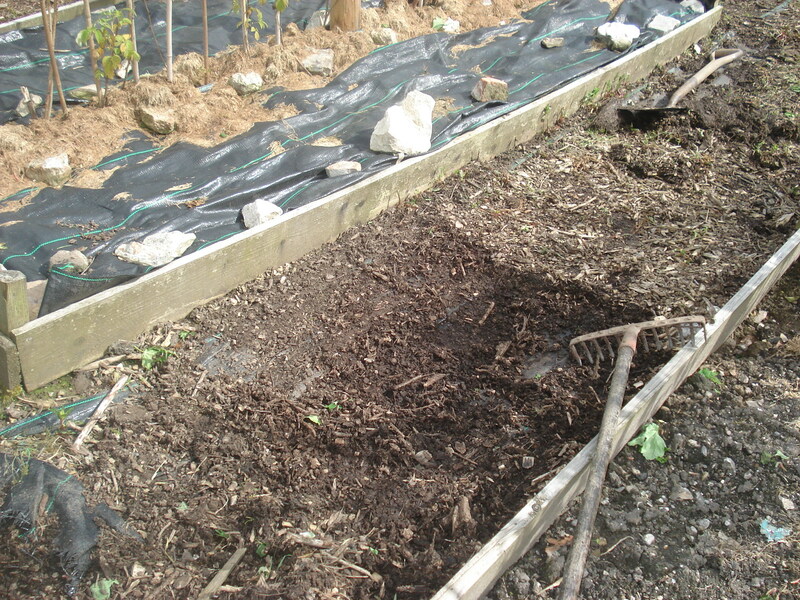 So Neil has been digging out the weeds and pulling back the bark to get back to the black weed suppressant sheet. 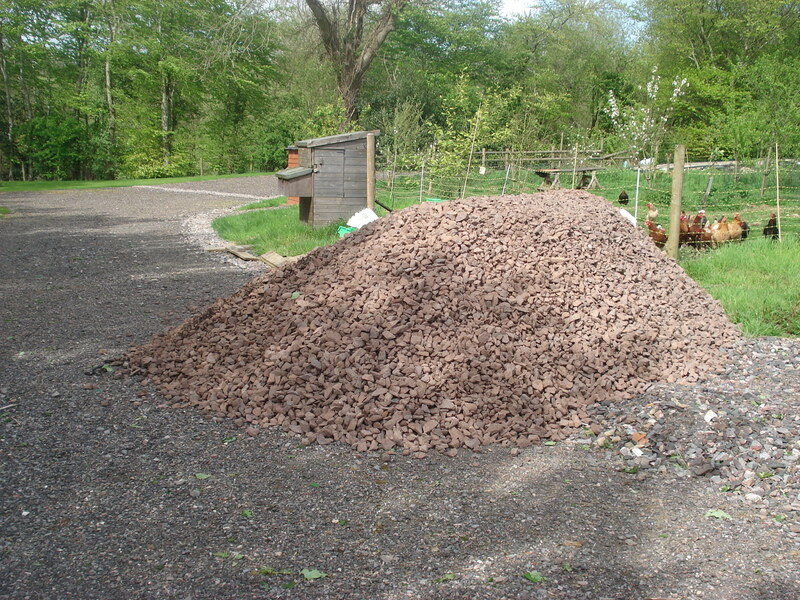 The bark chippings we have been depositing on the hen run and the hens love it to scratch around in. 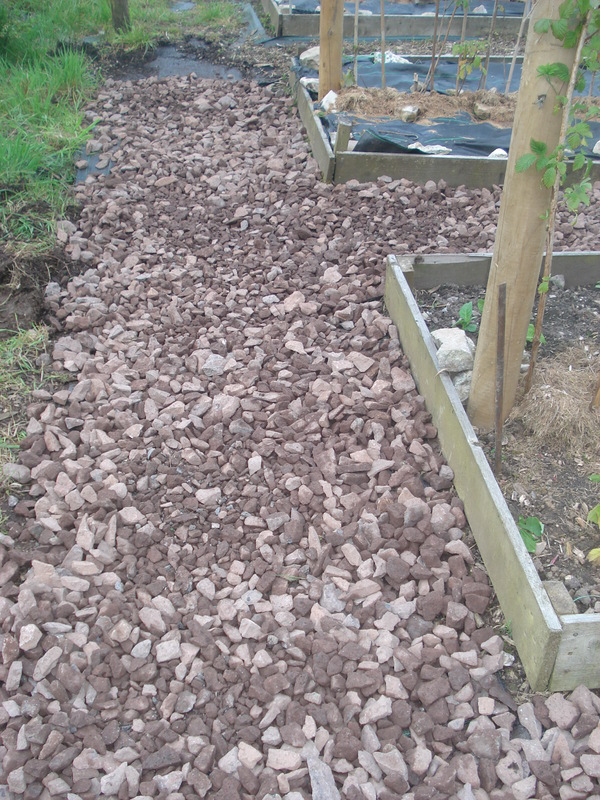 He is then filling the paths with scaplings (stones) to make new paths, which hopefully the weeds cannot grow in. This is very physically demanding work and will take quite a long time to do. He is out there again this afternoon, so my job is to prepare regular cups of tea and get on with the roast dinner for tonight. Also I have to go and iron the bed linen from yesterday’s B&B guests, so I’m not twiddling my fingers even though I’m not helping with the scalpings.